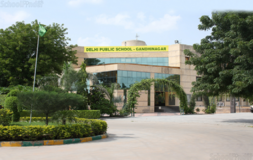 Find below the list of top CBSE schools in Meghani Nagar - Ahmedabad with phone number, address, 360° School tours, 2018-19 Admission forms & Fees, photos, facilities & more. 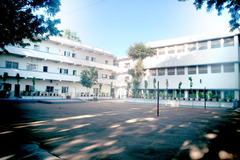 The Riverside School is located in Ahmedabad, Gujarat, India. It was established by Kiran Bir Sethi in 2001. 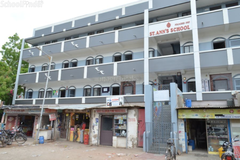 With a capacity of 390 students (student to teacher ratio of 6:1) it is a small school on the banks of the Sabarmati River. The school has developed an in-house curriculum up to the 7th standard. Grades 8th 12th follow the IGCSE curriculum. It is also a research center for school education. In the past 11 years, the school has experimented with the latest learning models and has established itself as a pioneer in the field of education. Riverside is Gujarat's No.1 and India's No.3 International Day School in Education World's India School Rankings 2013. APS Ahmedabad an English medium Co educational school , was established in July 1992 with a strength of 245 students from classes I to VIII . Earlier the school was functioning from the building which is presently run by SAPS ( Saurya Army Pre Primary School ) . As the strength of students and staff increased, the school was shifted to the present location . 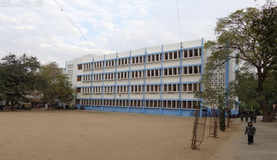 i.e camp Hanuman , in 1992 with ample open space where students can interact with nature , class X was added in the session 1994 95 while class XII ( Science ) in the session 1998 99 commerce stream for class XI has been commenced with effect from the academic session 2008 09 and humanities stream started since last session i.e. 2012-13. As on date the strength of students in the school is 1640. The school is governed by AWES , AGs Br , Army HQ is accordance with the guide line given in AWES Rules and Regulation ( 2008) and managed by the school Managing committee. 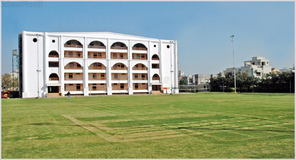 Ahmedabad public school is an English Medium School with multi activity center school. In a secure, safe & Invigorating Environment, children choose to pursue various activities form art to computers and sport from cricket to tennis in order to grow in to well-rounded individuals with a global out look an a keen understanding of their own cultural heritage. 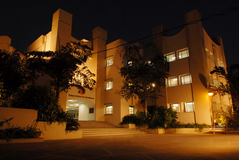 FIRDAUS AMRUT CENTRE SCHOOL is run by `FIRDAUS MEMORIAL CHARITY AND EDUCATION TRUST' founded in 1965. 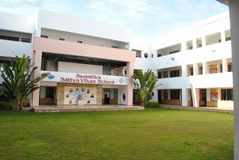 The school is located in the peaceful and lush green surrounding of the Cantonment. 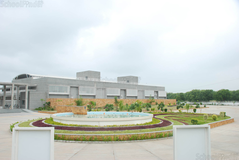 It has imposing buildings with spacious SMART CLASS ROOMS, fully equipped Science Laboratories, big hall for smart activities, wide open play ground & lot of greenery to add to the ambience, conducive for studies. 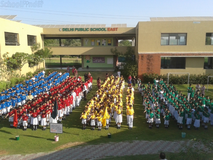 The school is co-educational and admission is open to all, irrespective of caste, colour or creed. The academic year begins in April and consists of two terms. The first term starts from April to September and the second term from October to March. 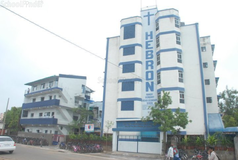 The curriculum of studies is arranged according to the syllabus prescribed by the CBSE. The textbooks are based on principles of child centered, education, activity based learning and child development. Medium of instruction is English. The school does not encourage tuition. The CBSE has banned tuition by any teacher. Choosing the right school for a child is a daunting task. Making the job easier for you is Sqoolz. In order for your child to get admission to the best CBSE schools in Meghani Nagar - Ahmedabad you need to study and analyze the list of top CBSE schools in Meghani Nagar - Ahmedabad. 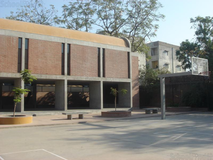 With our detailed list of CBSE schools in Meghani Nagar - Ahmedabad, you can get all the information you need.